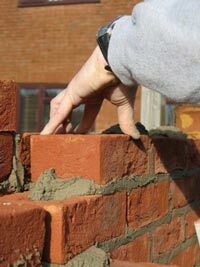 Whether you are looking to create a new construction or repair an existing one, we can offer the most expert brickwork available. Walls and chimneys, arches and mailboxes – no matter what the task, we are dedicated to delivering the quality craftsmanship and timely completion our customers have come to expect of us. In addition to our brickwork, we have committed ourselves to becoming known as the leaders in custom stonework applications. Selecting only the highest-quality natural veneers, we provide careful crafting and honing of each stone from its original cutting to the final installation. If you are interested in the long-lasting and classic look of stone, contact us to discuss the wide array of options available to you. View photographs of some our previous brick and stone jobs on the masonry examples page. Whether you are interested in a wood-burning, gas, or combination fireplace, our skilled craftsmen can help you to realize the comfort and warmth of a custom-designed stone or brick fireplace for your home. Whether you are looking for the traditional ambience and comfort of a natural wood-burning fireplace, or the ease and cost-effectiveness of a gas fireplace, we at Naper Valley Masonry can guide you through the variety of options and styles available to you. See photos and examples of a few of our previous fireplaces here. Acting as light reflectors and refractors, glass blocks provide privacy and security while allowing up to 80% of natural light to pass through them. Blocks are made from a variety of glass molded into hollow blocks, which are then set together with mortar and acrylic bonding agents. We can show you how glass blocks can be used to enhance exterior walls by providing more natural lighting into the interior space. In addition, consider glass block construction to help create a unique and attractive design for your showers, baths, or other interior spaces. Any shape that can be imagined can be created with glass blocks. With exceptional strength, durability, and heat-resistant qualities, cinder blocks, sometimes called “concrete masonry units” or “CMUs,” have been increasingly used for residential and commercial applications over past years. 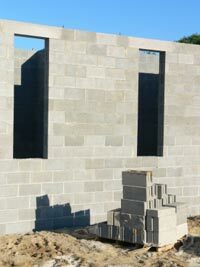 Able to be insulated from within or alongside a block wall, cinder block construction offers the utmost in security, durability, sound insulation, and resistance to insects, weather, and fire. Originally developed by Owens Corning, cultured stone boasts the attractiveness and durability of stone at one-quarter the weight of full-thickness stone. Available in a wide variety of textures and colors, cultured stone can improve the value and attractiveness of any residence at a fraction of the cost of natural stone. We at Naper Valley Masonry are proud to offer cultured stone products to our customers. View examples of our cultured stone work now.